The weekend has felt a long time coming this week. Luckily, its a long weekend in New Zealand with Labour Day. I had time for a quick walk before dinner after work today, and had a look around the back streets of Takapuna. 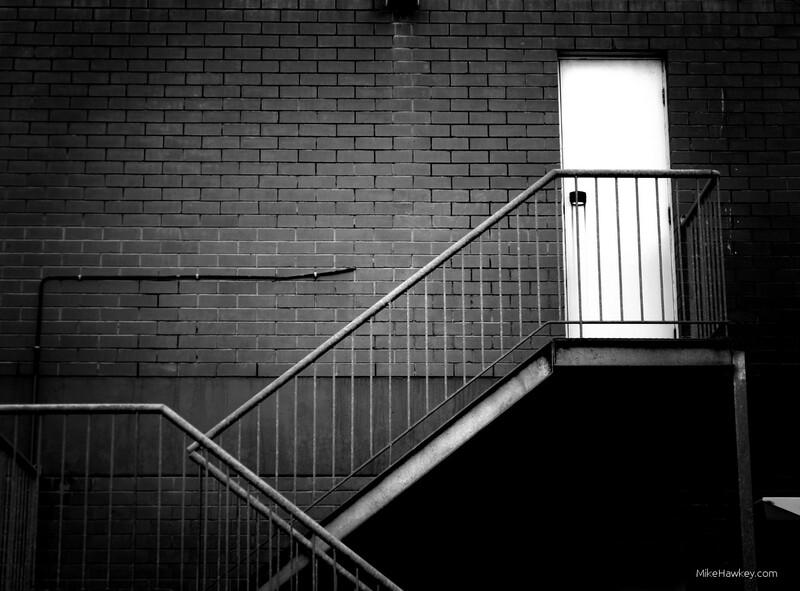 Armed with my Nex and the kit lens, I took this simple image of a door and stairwell coming out of the back of a building. In post processing I converted to Black and White, pushed the contrast and added some vignette. What’s behind that door? you really nailed the composition on this one!